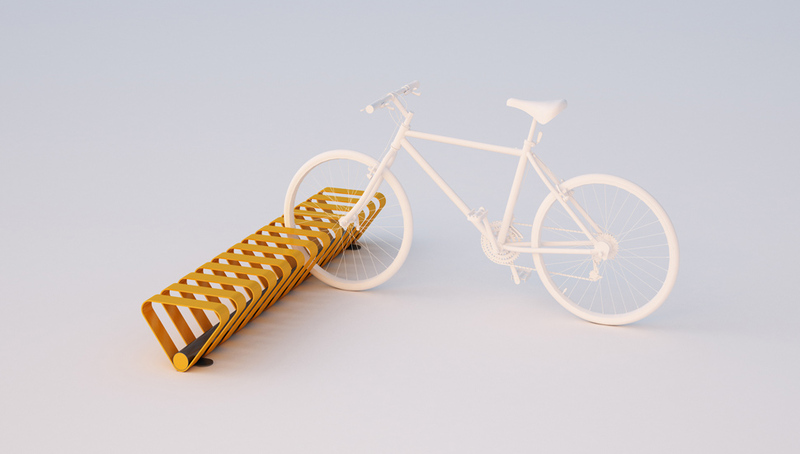 Multiple bike rack, manufactured with a structural tubular element. Bended steel plates, to hold the bikes, are fixed on it. Structure and plates are painted in two different colors.